Here's some promotional photo's of Daniel Craig as James Bond in Quantum of Solace. 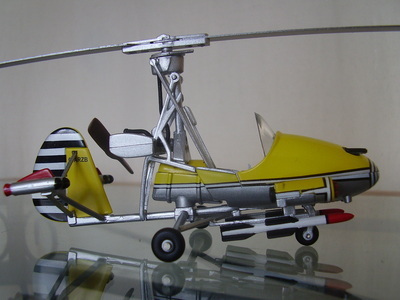 Found some old photo's on a CD and some of them are of Corgi Little Nellie models that I took ages ago. Just thought I'd share them. 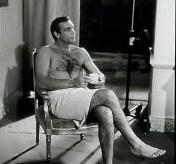 A nice collection of behind the scenes photo's showing the filming of From Russia With Love. 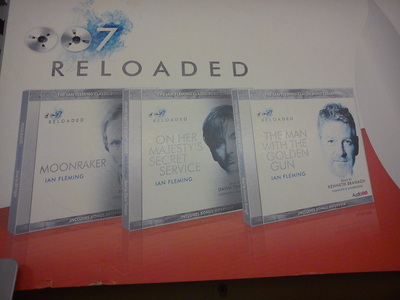 On the way back from a family wedding up in Cumbria I found a 007 Audiobook for sale at a motorway services branch of WH Smith's. 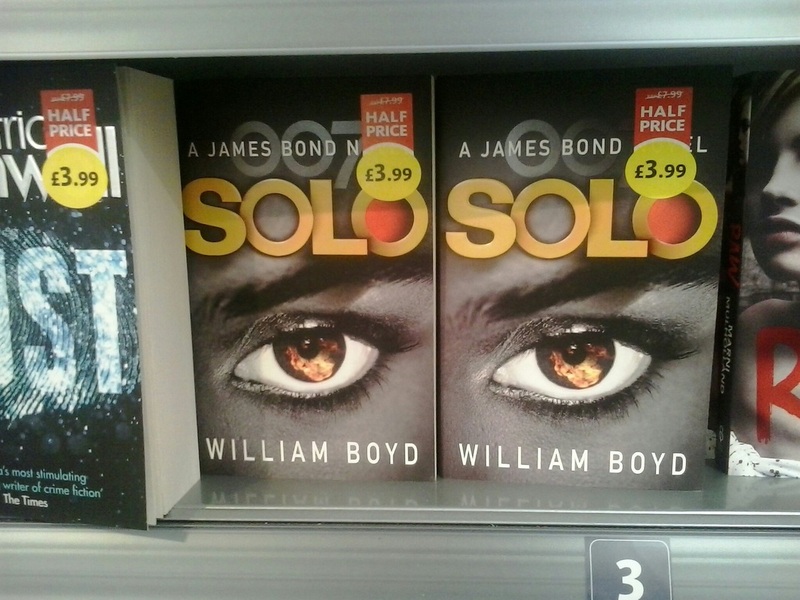 Solo by William Boyd is now available on paperback. 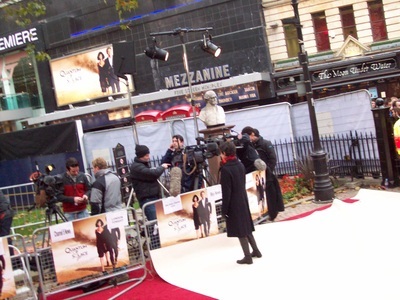 I braved the cold weather and waited outside with hundreds of other Bond fans to see if I could get some photo's of the stars going to the Royal World Premier of Quantum of Solace. 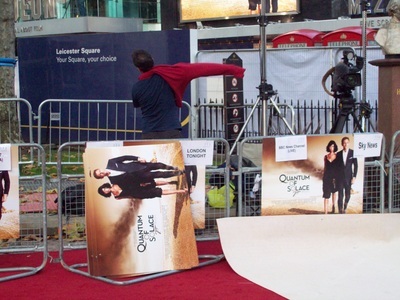 But before the start of the premier I also got to take some photo's of the preparations in Leicester Square as red carpets were laid and film crews got ready for the evenings events. ARE YOU GOING TO LOUGHBOROUGH FAIR? 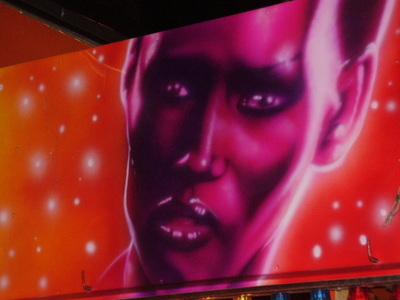 A few years ago, I went to the annual fair in Loughborough and was surprised to see these Bond artworks adorning some of the fairground rides. 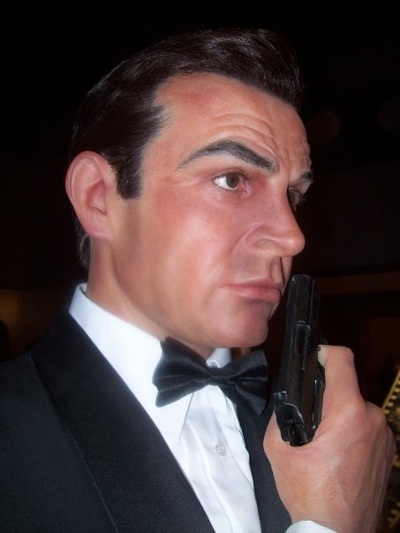 Photographs from the 007 section of Louis Tussauds Waxworks Museum in Blackpool, England,. These were taken back in 2008. I'll let you be the judge of how much they look like the actors they portray! 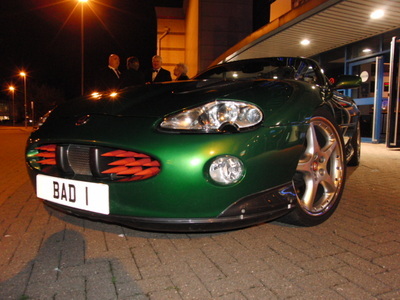 Photo's of Zao's Jaguar from Die Another Day when it was on display at the Regional Premier of Skyfall on October 25, 2012. For more about the event read my article on The Bond Experience website.